Kicking off the race weekend celebration with a royal party is the Disney Princess 5K! 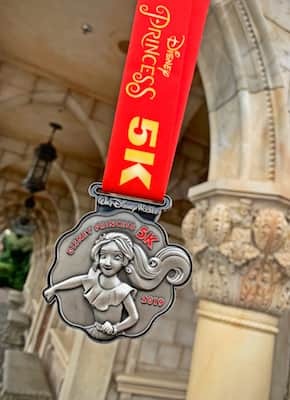 Join your familia for an exciting 3.1 mile adventure to earn this finisher medal celebrating la princesa, Elena of Avalor. 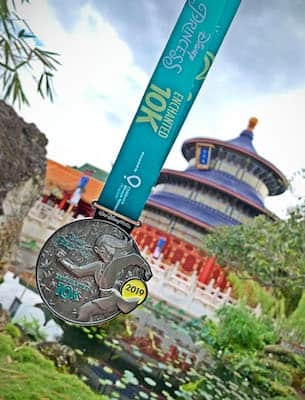 Run swift as a coursing river during the Disney Princess Enchanted 10K featuring a Mulan-inspired medal. Reflect on a job well done with a finisher medal spotlighting the courageous warrior. 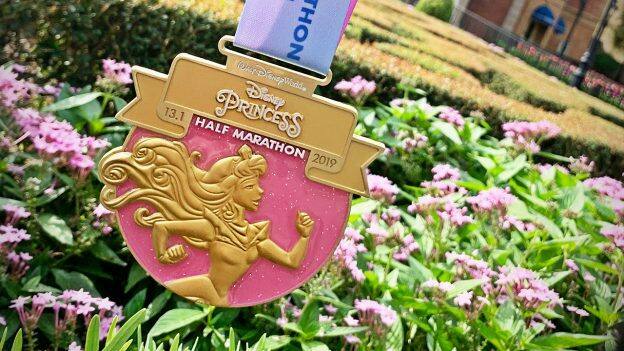 A race fit for a Sleeping Beauty, run with us during the dreamy Disney Princess Half Marathon! Have the most joyful day indeed while you enjoy the 13.1-mile course to earn this year’s medal featuring Princess Aurora. 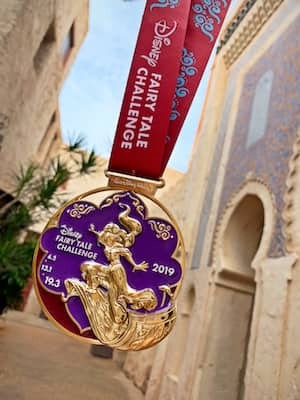 Limited spaces still remain for the 2019 Disney Princess Half Marathon distance so register today. Joining us in February for the royal celebration? Let us know which race you’ll be participating in using the hashtag #PrincessHalf on our social channels! 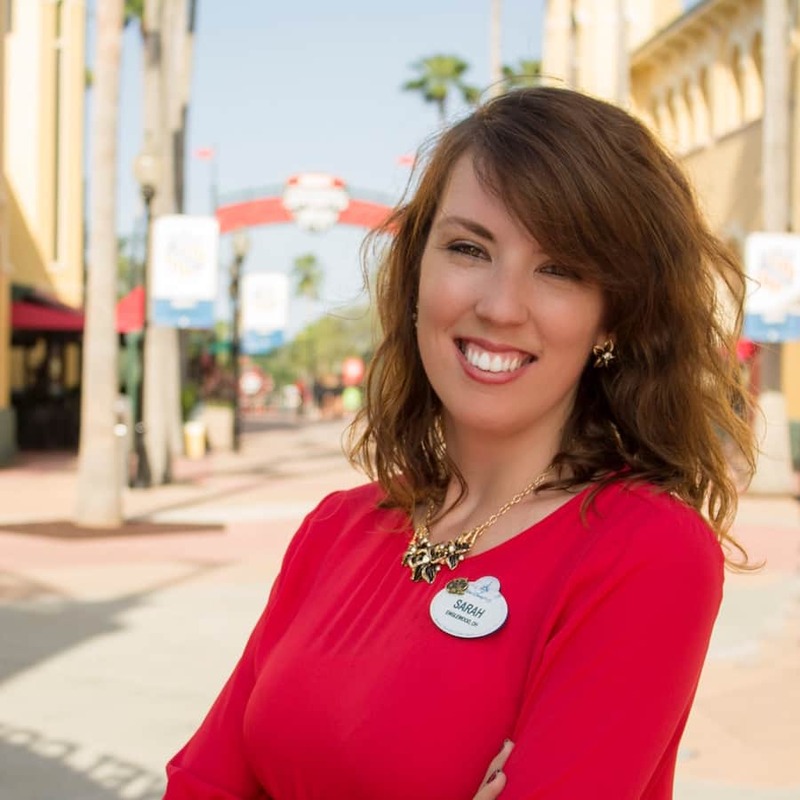 Follow runDisney on Facebook, Twitter, YouTube, Instagram and Pinterest! 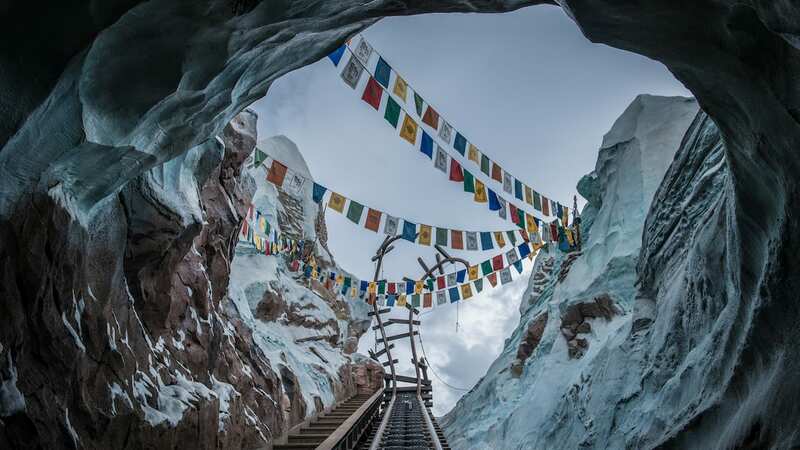 Visit our website to learn more about other runDisney events! I liked the medals that have a tiara-theme with a jewel, such as the ones from 2013 and 2014. Those medals inspired me to sign up on day one of registration and to put countless miles on the treadmill and pavement. I wanted the bling that would reflect my sense of accomplishment at the end. work hard to finish the marathon. And now, I think that when someone asks me about it, my response will be indifferent, “Oh, that’s just sometime I did once upon a time…” Like it was nothing special at all. I hope that my perspective changes on race day. I saw these in person at the Expo during WDW Marathon Weekend – even more disappointing. The attention to detail is gone. I have my medals hanging from 2017 & 2018 in frames – these I won’t at all, not worth it. What happened??? I’m glad I’m not running it this year. These medals are so disappointing. Why Elena of Avalor? I saw the picture first and did not know who it it was. That shouldn’t be, one should look at it and immediately know who it is. Keep to the movie princesses, we don’t need the television ones. When will we see the Kids Race medals? My two granddaughters are doing the race and we want to dress them according to the Princess theme. Last year the medal for my granddaughter was Mulan. She was thrilled! Please post pics! Already ordered my Elena running skirt! These medals are very disappointing. The medals the past several years have been awesome. No looking forward to earning these medals. I hope that the merchandise is better. Have to say agree with the others the 2019 Medals for the Princess race are extremely disappointing. I have done a lot of these races and by far these are not true classic princess feel and not excited nor motivated at all about the medals. These medal designs are so disappointing. 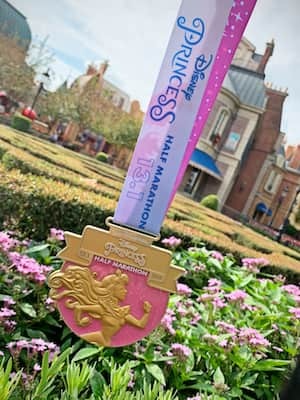 Last year’s Princess Half Marathon medal was beautiful. Not sure, what they were thinking with these designs. I’m not one to complain, but I’m really bummed they missed the mark with the direction of medal designs. I’m not enchanted or excited with these as prizes, and I’m signed up for all three races and even added family to join me this year. 🙁 Why is Aurora making fists? It looks out of character. Disappointed in the Half Medal. Expect much more from Disney. The medals in the past have always been awesome. The design on these is poorly done. What happened Disney? The characters as themes is fine, but where is the elevated design we love and are used to? Elena of Avalor is not a classic princess, shes fairly new. Really want to see the kids medal as well. Ready to run 22.4! Disappointed in the 5k medal. And what about the kid race medal? what about the kid’s medal?? Yay! I wasn’t expecting to see these until sometime in December!